We’re breaking into the pre-recorded programming for a quick news break. IDW Comics has made a big announcement for 2019 (and the promise of more on the way), a Ghostbusters stunt performer has passed away, and SyFy is advertising for a special Ghostbusters weekend with a pretty sweet new music track. Join us for a quick news update, won’t you? This week on the show, Troy and Chris talk the exciting conclusion to the Ghostbusters 101 comic series, the history of slime according to the Verge, Ghostbusters Answer the Call on Sky Cinema (and its accompanying special), and the Ghostbusters Resurrection team really showed us up on their Vigo theories. It's a long holiday weekend here in North America, grab a lemonade and join us while you're at the BBQ! This week on the show, some news and looking back on the third Ghostbusters live-action film one year after its release. Up first, Troy and Chris talk Ray Parker Jr.'s appearance in the documentary Hired Gun and the great interview he did with The Movie Guys. Also, a few updates on fundraising for mental health in Ghostbusters II actor Hank Deutschendorf's name, a 24-year old pinball wizard who won a Stern Ghostbusters pinball machine, audio from last year's Twisted Toonz Ghostbusters live-reading at the Phoenix Comic-Con, and yes - that photo above is your first-look at the upcoming Crossrip t-shirt with unique Dan Schoening artwork that'll be up for grabs soon! It's back! The Cyclotron returns for a roundtable discussion about the debut issue of Ghostbusters 101 from IDW Comics. Joining us this time is artist extraordinaire John Yurcaba to dissect the issue one panel at a time. But up first, a quick rapid-fire half hour of news including Real Ghostbusters hitting Netflix, Anovos showing off their proton pack at WonderCon, some other IDW release news, and another William Murray Golf shirt that'll most likely be impossible to get. Then, step into the Cyclotron as the roundtable discusses easter eggs, plot points, characters, art, and a whole lot more for the first issue of the latest Ghostbusters crossover! Welcome back to the Crossrip podcast faithful listeners! Year Three kicks off with a double-stuffed episode thanks to all of the news that occurred over the holiday season including IDW Comics' Ghostbusters 101, Ghostbusters the Video Game backward compatibility, that Ghostbusters themed hotel room at Heide Park Resort in Germany, and a whole lotta merchandise news. Grab a snack, it's gonna be a long one - all this and Andy Rooney on this week's podcast! This week on the show, the amazing, the spectacular, the DAPPER, Dan Schoening joins us on the show not just as an interview guest - but as a co-host! Along with Dan, Troy and Chris talk about that new Ghostbusters 5D ride in Germany, Bill Murray signing a Stern Pinball machine, that Honest Trailers release on Ghostbusters: Answer the Call, and a recap of the Vancouver Halloween Parade! After the news, Dan talks to the guys about Issue #10 of Ghostbusters International, on shelves now - some of the shocking developments in the story, what's next, and a whole lot more. PLUS we have the winners to our Boo It Forward contest announced on the show as well. Grab a Baconator and let's do it! Join us this week for another trip to the Cyclotron for a roundtable discussing IDW Comics' Ghostbusters International #4 and #5. This time around, Ryan Doell of the Ghostbusters of BC and Matt Provencal of Cross the Streams Radio join Troy and Chris to chat about events that unfold in both of the two most recent books, do their best to point out all the easter eggs, and get tripped up when they try to name more than two French actors! 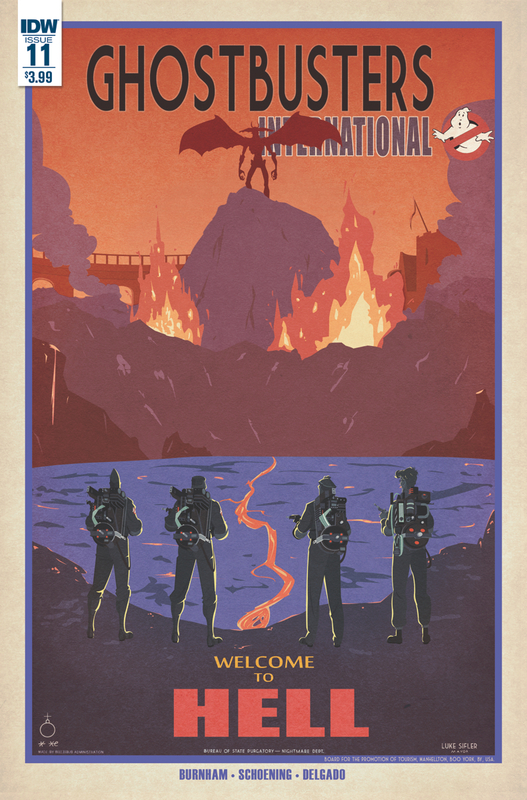 Join the group in the Cyclotron to discuss IDW Comics' "Ghostbusters International" Issue #2! This week we have the artist behind the comic himself, Dapper Dan Schoening joining Troy, Chris, Ryan Doell of the Ghostbusters of BC, and Craig Goldberg and Abigail Gardner of the Georgia Ghostbusters. Listen as they dissect the issue's events, point out some of the easter eggs, and get some insight into the origins of the series from one of the sources himself! The issue is in stores now and is a must buy, go pick it up and follow along with the roundtable discussion! 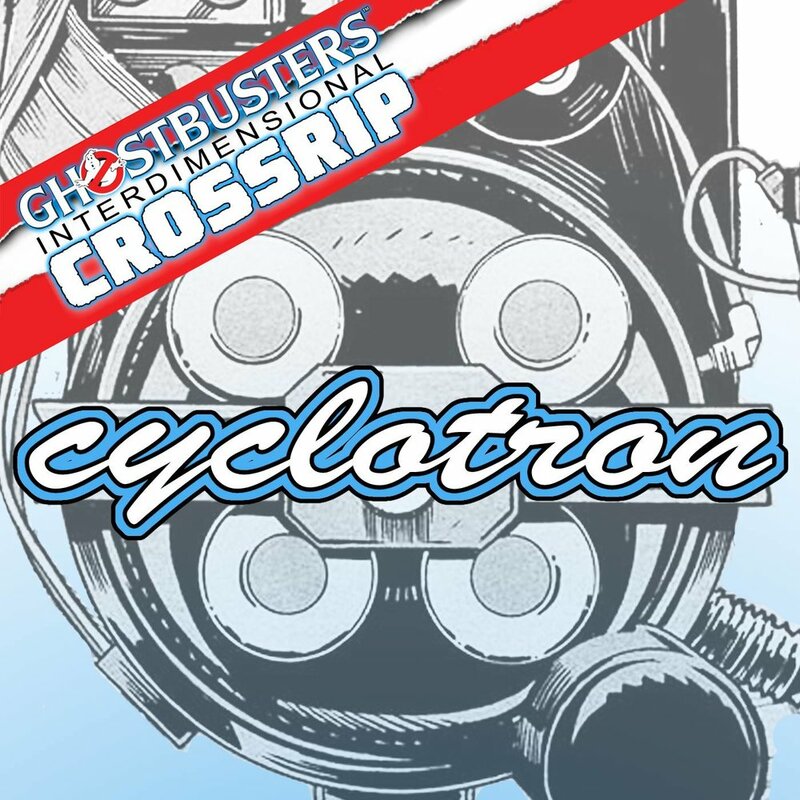 This week, you get not just the usual weekly Crossrip episode but we're introducing our sister-show, The Cyclotron! First up, Troy and Chris chat their usual news discussion including some chat about LEGO Dimensions and the under the radar announcement that a Ghostbusters (2016) tie-in console video game is coming from Activision. Also Hook and Ladder No. 8 in New York City is closing up shop for the next three years as it undergoes huge interior and exterior renovations and the boys have all the news that's fit to print on what's changing. The UK had a Toy Fair last week and Rocket Licensing showed off their first wave of tie-in products and boy, the sheer volume is a doozy! Entertainment Tonight interviewed Paul Feig on the red carpet at the Golden Globes and a seemingly trivial comment about test screenings has the internet in a frenzy, find out why. Nerf Herder is back with an all-new single from their upcoming album and it'll hit you right where it hurts, listen to an excerpt from their new song "Ghostbusters III." Plus, Sony has an Indoor Theme Park coming to Minnesota, Ghost Corps wants your franchises, and so much more... whew. And if that wasn't enough, we're spending the second half of the episode to introduce you to our new sister-show The Cyclotron! Special roundtable discussion episodes that will follow major releases meriting a little more in-depth discussion and analysis is what you'll find in these periodic episode releases - and this week we're pleased to be joined with Ryan Doell of the Ghostbusters of BC to talk about this week's release of Ghostbusters International #1 by IDW. Page by page, panel by panel, listen to the gang discuss this launch issue of an all-new Ghostbusters on-going comic volume and look for future episodes of the Cyclotron to feature familiar faces talking about very incredibly cool things! This week, Troy and Chris have the latest Ghostbusters news and talk in-depth about the IDW Ghostbusters Annual. First up, everybody look under your seats, you're all getting trademarks! You get a trademark, and you get a trademark! And Ecto-Cooler gets a trademark (again), what could it mean? Troy and Chris do a little speculating. Then we explore Tom Rothman's comments at the Paley Center as read in The Hollywood Reporter. You know THOSE comments about the new Ghostbusters movie. All that plus a Ghostheads, Zoobe, REAL! 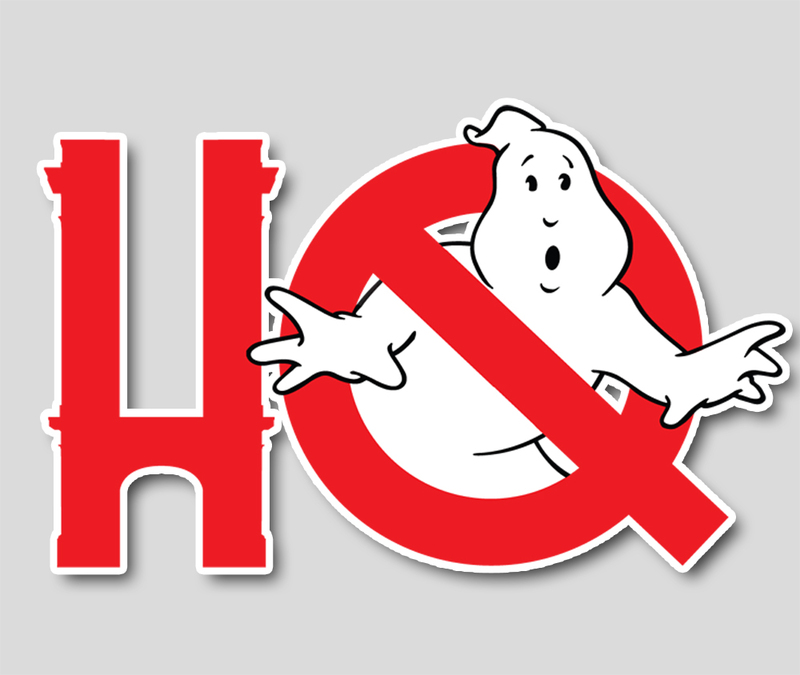 and Hollywood Collectables update on the biggest Ghostbusters podcast since 1909! A brief tribute to a fallen friend Ryan Kemp by Chris, then the latest news, and an interview with Ryan Doell and IDW Comics artist Dan Schoening. This week's news in jam-packed because of the recent New York Comic-Con and all the announcements that came out of the Big Apple. And fittingly, it's double-stuffed to talk quite a bit about IDW's Ghostbusters Get Real and its conclusion. 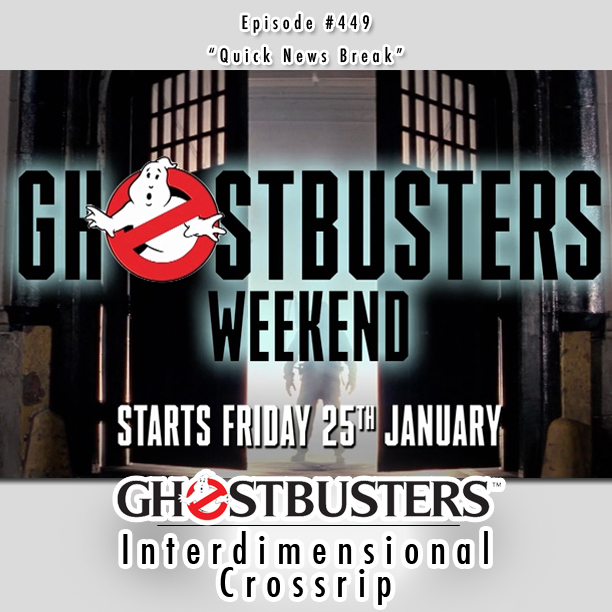 Also this week: brand new Ghostbusters shoes, Michael C. Gross Day and appreciation, that Rick Moranis interview that everyone is talking about, a new Paul Feig interview where he discusses casting Chris Hemsworth, LEGO Dimensions, Anovos is going to be selling Ghostbusters-related props, oh and there might be a Ghostbusters animated film in the hopper? A ll'l news and then a Proton Charging archival interview with the one and only Don Shay, author of Making Ghostbusters! Here's what's on tap for this week's news: sending some well-wishes to "King of the Ghostbusters" Peter Mosen, a spoiler alert about the last day of production that we somehow avoided last week and now is common knowledge, at the same time production was out in NYC a familiar car paid a visit to the opposite coast at Mattel in El Segundo, CA. Then a little bit on IDW's Ghostbusters Get Real #4 and a tease about its trade paperback from Dapper Dan Shoening. And then the main event: Don Shay, one of the founding members of Cinefex Magazine and the author of Making Ghostbusters talking about the production of the original film in the context of its 30th Anniversary!